Stop by your local IHOP Restaurant to dig into a free short stack of delicious buttermilk pancakes, and make a difference in the lives of seriously ill or injured children by donating to Children’s Miracle Network Hospitals. Funds raised will benefit Maria Fareri Children’s Hospital, a member of the Westchester Medical Center Health Network (WMCHealth) and the Children’s Miracle Network Hospital for the Hudson Valley and Fairfield County. Learn more at MariaFareriChildrens.org/npd. Put on your dancing shoes and get ready to party and shop for a good cause at MidHudson Regional Hospital’s ladies’ event, benefiting the WMCHealth Heart and Vascular Institute. Held at the Poughkeepsie Grand Hotel, the evening includes a lavish cocktail reception with shopping vendors, a beauty suite and a raffle, followed by live entertainment. Tickets are $65. For information, contact Arlette.Porpiglia@wmchealth.org or call 914.493.5787. 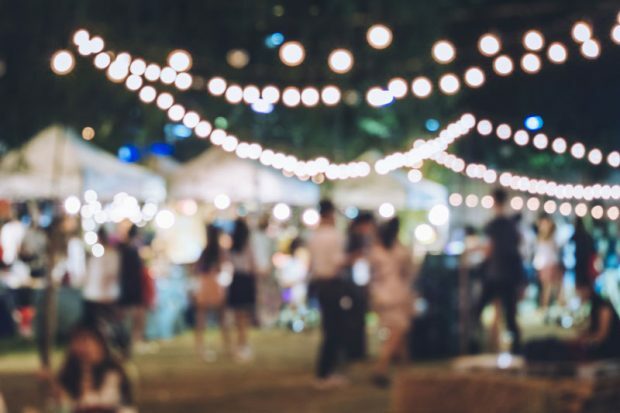 Dance the night away while taking steps to improve local healthcare at this fundraiser for Good Samaritan Hospital, a member of the Westchester Medical Center Health Network (WMCHealth). Held at the Rockleigh Country Club in Rockleigh, NJ, it’s an uplifting evening brimming with community pride. For information, call 845.368.5151 or visit Bschsf.org/springball. It’s time to savor a year of success for MidHudson Regional Hospital, a member of the Westchester Medical Center Health Network (WMCHealth). Celebrate our advances in robotic-assisted surgery, high-tech 3D mammography and full-scale renovations in the hospital’s patient-care wing with a dinner at the Roundhouse in Beacon to honor physicians, community champions and the spirit of growth and innovation. Tickets are $225. For information, contact Arlette.Porpiglia@wmchealth.org or call 914.493.5787. The HealthAlliance Foundation’s annual gala — featuring dinner, dancing, a raffle, silent auction and fireworks — takes place at the Lazy Swan Golf and Country Club Village in Saugerties. For details and reservations, go to foundationupdate.org/events/tulipball/ or call 845.334.2760. Mix and mingle with fashionable ladies committed to a healthier Orange County. Enjoy an evening of shopping, learning, raffles and dining at Palacio Catering in Goshen, NY. This very special event benefits St. Anthony Community Hospital, Mount Alverno Center and Schervier Pavilion, members of the Westchester Medical Center Health Network (WMCHealth). For more information please call 845-368-5151. How Can I “Spring Clean” My Diet?